We were away in the bus over New Year. We travelled to the East Cape as we’d never been before and I heard it was worth the trip. We were driving on the East Coast Road with extreme care, avoiding landslips around every corner, and with me in the passenger seat trying hard not to look out of the side window where I could view the crumbling road beside/beneath us. We did see the sun towards the end of the week and I did very much enjoy the East Cape – I will post about it when I find some photos without grey skies – but this post is about bananas. 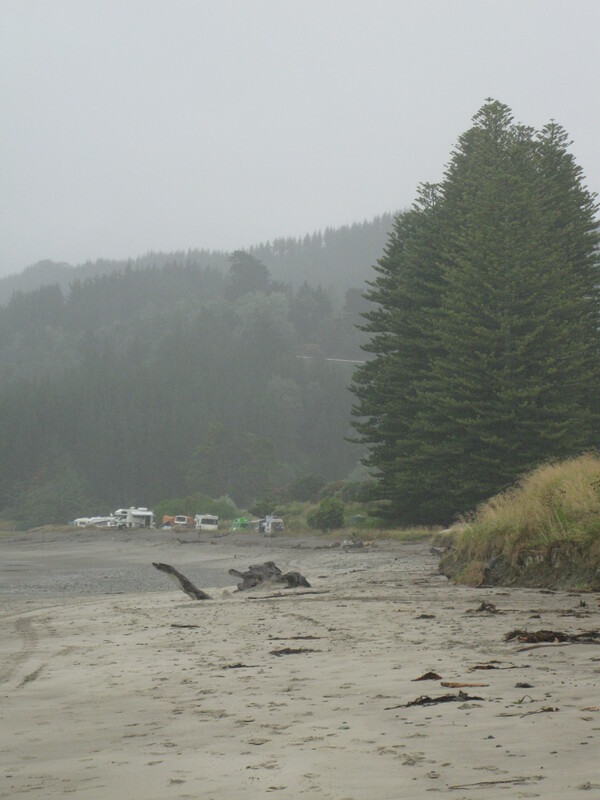 While sitting in the bus on a rainy day at the lovely Waipiro Bay, having been rained off the beach, we had a suitably fitting rainy-day-bus-dinner. We have adequate kitchen facilities in the bus – two gas burners and a very small grill – good enough for preparing most things. With a little bit of inventiveness we have discovered how to live quite well with a small stock of pantry food and whatever we can squeeze into the small fridge and tiny freezer. Dinner often evolves into a feast as we “use up” produce that is not going to hang on in there for much longer. Rainy day food turned out to be homemade meatballs in a chilli bean sauce (I am the only non-meat eater and substituted veggie sausages cut into chunks). 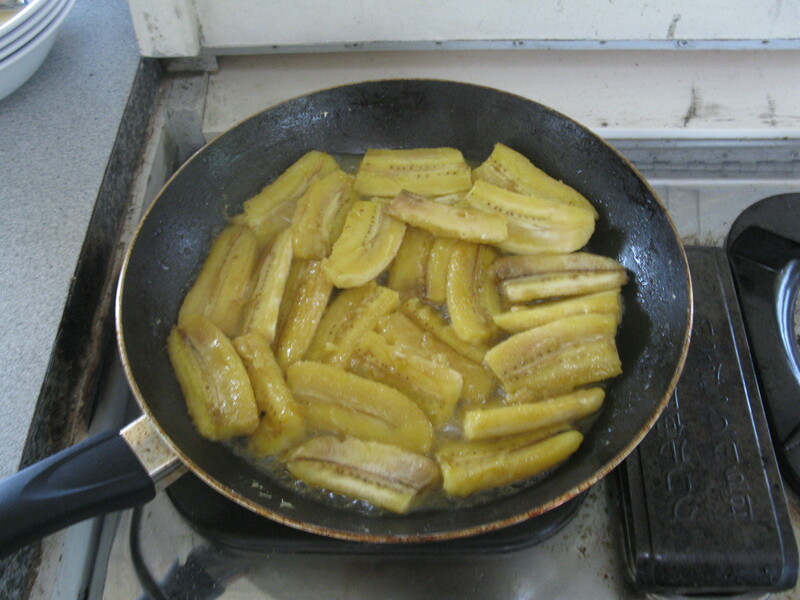 We then made caramelised bananas for the first time EVER and I am a convert. Brown sugar and butter simmered and bubbled in the pan while I sliced the bananas and squeezed them all in. I may have added a dash of some kind of alcohol, I really just cannot remember, but we gave the bananas a few minutes on either side to soak up all that lovely buttery sauce and then served them up with fresh cream. I love bananas done this way! A slug of marsala is a good addition if adding alcohol.